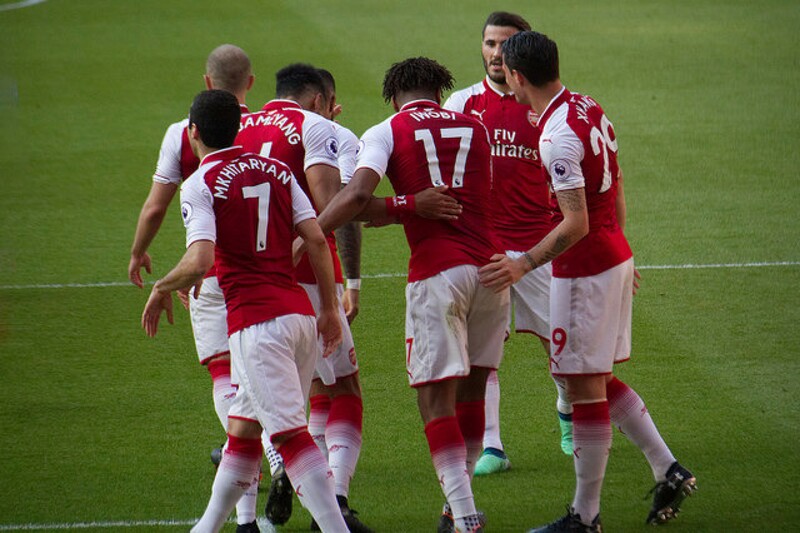 Opinion: Can Alex Iwobi finally flourish under a new system and coach? Alex Iwobi signed a new long term contract at the Emirates in the summer having first signed for the club at the age of eight. Arsene Wenger had a knack of finding hidden young gems from around Europe during his 22-year tenure in north London, allowing young players to flourish in his free-flowing, dynamic style of football. Breaking his way into the first team in 2015, it looked as if Alex Iwobi was to become Arsenal’s latest breakthrough star but his three seasons as a first-team player have been turbulent to say the least. Iwobi impressed instantly marking his first ever Premier League start with a goal. The Nigerian linked well with Danny Welbeck and raced through on goal before putting the ball between the goalkeeper’s legs. It gave the Gunners a lead in a game which they went on to win 2-0 against Everton. Iwobi added to that and scored on his second Premier League start against Watford in a 4-0 win at the Emirates. Making 13 Premier League appearances in his first season, Iwobi looked as if he was destined to become a star and particularly excited fans with a mature performance away at the Camp Nou in the Champions League against Barcelona. After such a promising start to his Arsenal career, the Nigerian winger who joined Arsenal as a school boy, has struggled for a consistent run in the first team. Despite making 26 appearances in each of the last two Premier League seasons, Iwobi has often been subject to criticism while the Gunners struggled to two finishes outside of the top four in Wenger’s final campaigns at the club. Iwobi has remained largely as a squad player during his three terms as a first team player, struggling to hold down a starting position despite his versatility to play both on the wing and behind the striker as a number ten. However, the Nigerian forward has struggled to perfect any specific strengths to his game, making it unclear where his best position lies. While his qualities on the wing are often his power of running with the ball, he is nowhere near clinical or ruthless enough to contribute goal contributions from the wing. Iwobi was subject to transfer speculation in the summer, however, Unai Emery showed his faith in the player and rewarded him with a new long-term contract, which will see him tied down to Arsenal until 2023. Emery has given Iwobi two starts so far this season and the Nigerian repaid his managers faith by putting in a stellar performance away at Chelsea, arguably his best game in an Arsenal shirt, where he created several chances and even got on the scoresheet as Arsenal were defeated 3-2 in a very open game. Another strength in Iwobi’s game has been his ability to create on the ball but while Mesut Ozil and Henrikh Mkhitaryan are at the club, the competition to be Arsenal’s number ten seems a stretch too far for the Nigerian. It is apparent that there is a vacant spot for a natural winger to claim its place at Arsenal, with a lack of a classic winger in the squad, which has seen Ozil deployed in an unorthodox position on the right side of a front three. While expectations will still be high for Emery’s Arsenal team to perform this season, it is likely that the Spaniard will be assessing which players he wants to keep at the club for the long-term future. Iwobi must find consistency if he is to become a success at Arsenal and remain in Emery's plans.